What you need to know about SEO - Part 6: More about quality content - A Digital Marketing Agency | IIAS - International Internet Advertising Services Inc.
Quality content is important for a number of reasons, including search engine optimization. But what exactly is it? Here are x of the main factors that will result in quality content. Expected Basics: The 5 W’s are the place to start. Who are you? What do you sell or provide? When are you reachable? Where are you located? Why should I contact you? Your potential customers need this information to know if you can help them, and it helps to builds credibility. Relevant and Concise: The user’s perspective is critical here. What does a potential customer really want to know? If you are a professional service provider, they may want to know your credentials. They don’t likely want to read through your entire life history to find that info. Informative: Your website is a great place to educate your target market, but don’t turn it into one of those late-night infomercials. Share knowledge of your products or services. Provide tips relevant to your industry. Go deep into particular aspects, materials, or jargon. Basically, be a resource for those who want to learn more. Keep this content separate though, in articles or a blog, so those who are looking for just the basics can find that easily. Original: If you think you’re getting a deal paying a pittance for content for your website, think again. The reason you’re paying such a low price is that the same content, and often the exact same wording, is being sold over and over again. 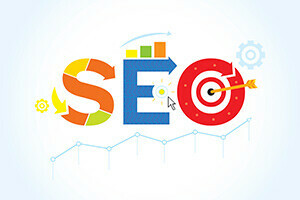 Originality counts in SEO ranking and to your site viewers. Make sure it is tailored to your brand voice, to your target audience, and to your products or services. Flawless: Make sure that there are no spelling or grammatical errors; that the narrative flows in a logical manner; that image captions are correct; and that all links are active and go to the proper place.